The Collar and Leash Combined! Welcome to the Home of the Co-Leash Dog Collar! 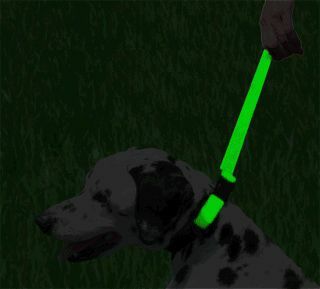 The Co-Leash Dog Collar is a collar and leash combined that ensures that the leash is always on the dog. 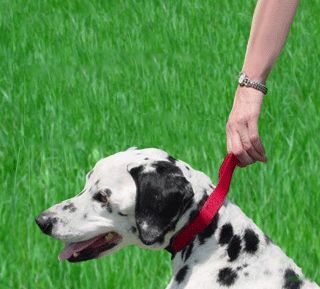 The Co-Leash features a short control leash which wraps neatly around the collar and attaches with strong Velcro. It’s made with super strong nylon, a Big Dog Buckle for added strength, and welded D-rings that can be used in conjunction with a regular leash as well. The Co-Leash is perfect for agility and fly ball and is great for dog parks! In addition to the Co-Leash, we also make collars for cats and dogs, harnesses for small and large dogs, leashes in different lengths and a special leash that you can use with the harness in the car to keep your pet secure. Most of our products are reflective, some glow in the dark, and our Angel line features a sweet angel motif and angel medallion to help keep your pet safe. Try our products today and see why Co-Leash company leads the industry in innovative products for your pets. We’re sure the Co-Leash and Co-Leash products will make life with your pet a little easier and your pet a little safer. We’ll even save you money by incorporating more than one function in every product – and they last a long time too! 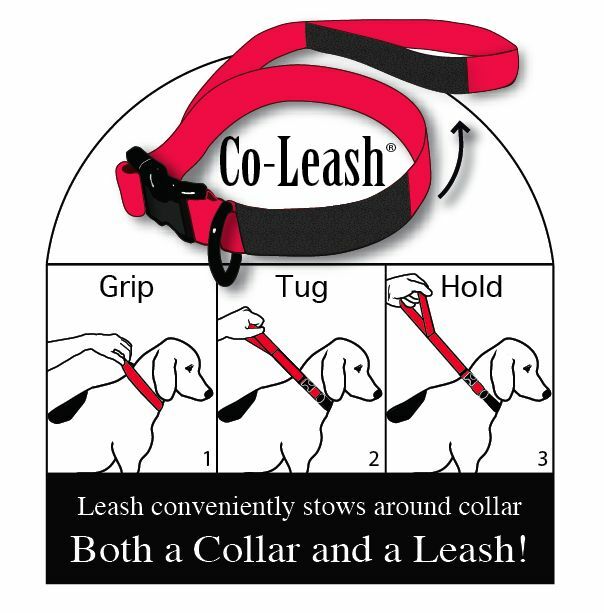 Co-Leash is currently the sole maker and distributor of all Co-Leash products. Our products are patented, trademarked and sold exclusively on this website. Any other products being sold under the Co-Leash name from any other sites are either very old or are imitations.